A true taste of authentic Argentina has finally come to Johannesburg. 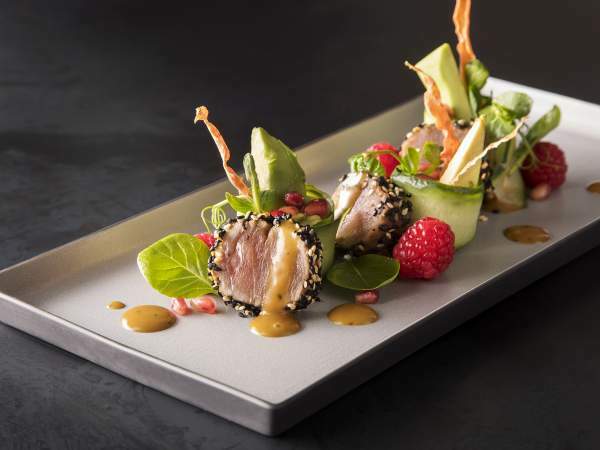 Oscar Farraldo and Bernado Corti, who began their food adventure in Joburg’s food markets, have created Che Argentine Grill. 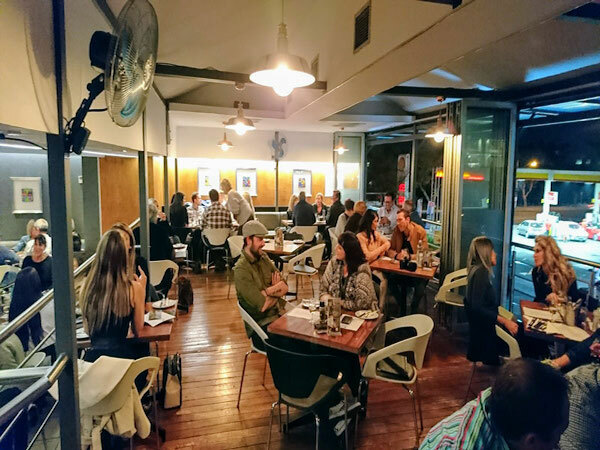 A true meat lover’s dream, it’s set in the trendy urban neighbourhood of the Maboneng precinct, serving traditional Argentine asado, or as we know it, braai. Expect a meaty start with their homemade chorizo, which is lightly spiced and made with 100% free-range pork belly. I could eat plates full of their empañadas, pastry pockets stuffed with beef, sweet corn and gouda, ham and mozzarella, or chicken and spring onion. All starters are accompanied by a homemade chimichurri sauce that will have you coming back for more. In fact, this herby sauce is served with all dishes, and after the first bite you’ll discover why – it’s just delicious. 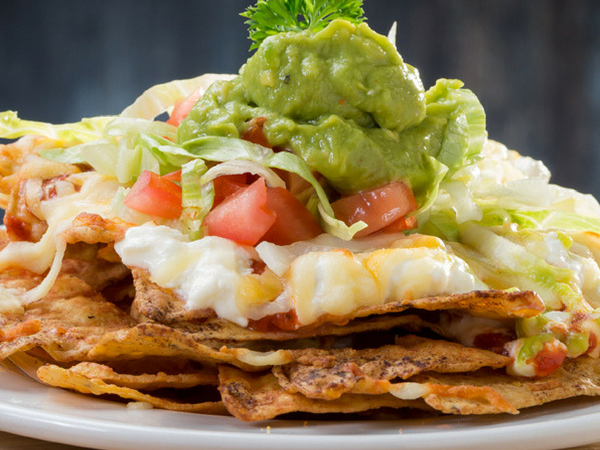 If you’re mindful of the meat to follow, try the provoleta starter of smoked provolone cheese with a tomato and red onion salsa, or crispy nachos with guacamole. Che Argentine Grill. Photos courtesy of Rupesh Kassen. Now for the serious bit. 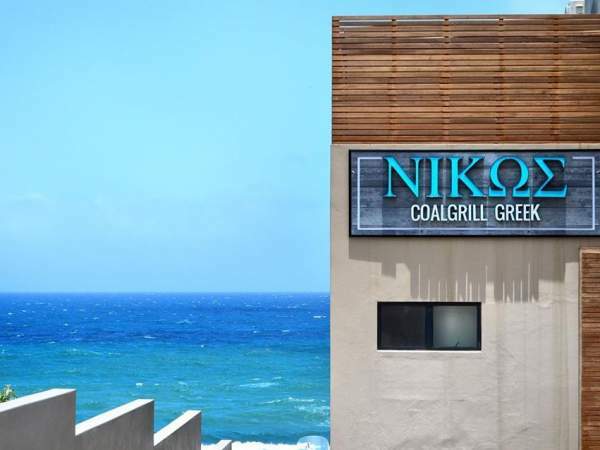 The meat is seasoned with only rock salt and grilled on a four-metre wood-fired grill that takes pride of place in the centre of the restaurant. 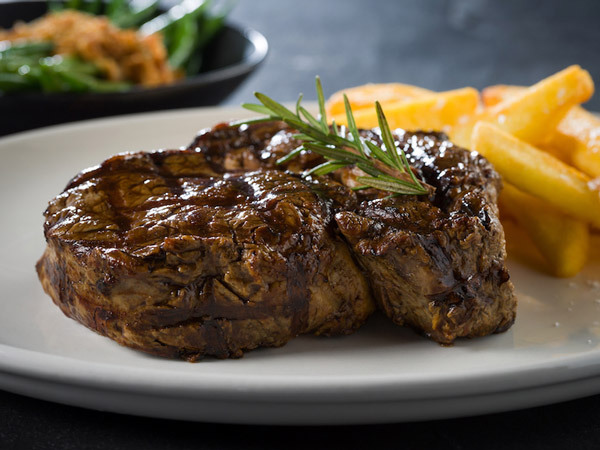 The space is filled with the tempting, smoky aroma of grilled meat and your mouth will be watering by the time you order one of the steaks, the pork belly on the bone or the stuffed pork neck with blue cheese, paprika and prunes. My choice, the pork belly, is outstanding, with crispy crackling on the outside and butter-soft meat cooked on the bone to keep the tenderness and moisture. The short rib is also fantastic and full of flavour. (Prepare to get your fingers sticky for this one as you’ll be grabbing the bone to get to all the meat.) 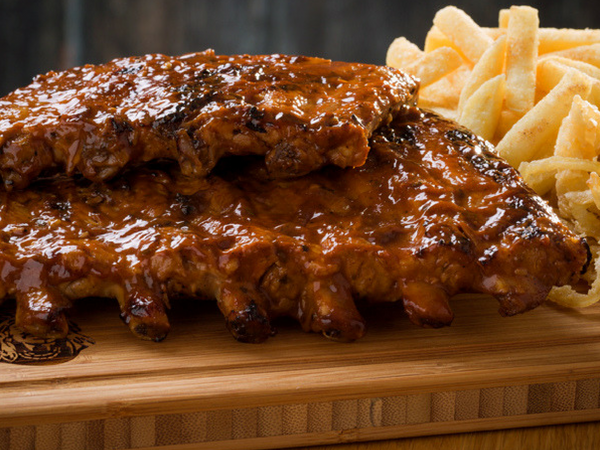 The sides are additional to your meal and served in generous portions ideal to share. Choose from items such as fries, pumpkin purée, roasted vegetables and Caesar salad. After all that meat you’ll probably need something to sweeten the deal. 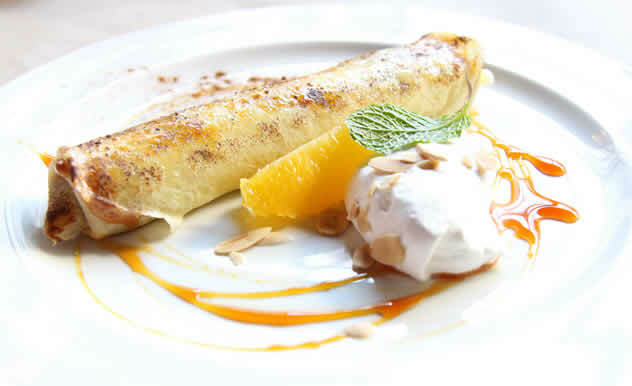 Dessert options includes traditional flan served with cream, and banana pudding with ice cream and toffee sauce. But the true showstopper is pancakes stuffed with dulce de leche. One is not enough to share and a second is ordered to prevent war at our table. Truly decadent. The wines are reasonably priced and there is a selection of easy-drinking South African wines and Argentinian malbec and shiraz. Also on offer are interesting cocktails such as the Latin caipirinha with ginger, chillies and lime, and clarito with gin, vermouth, lemon and rosemary. 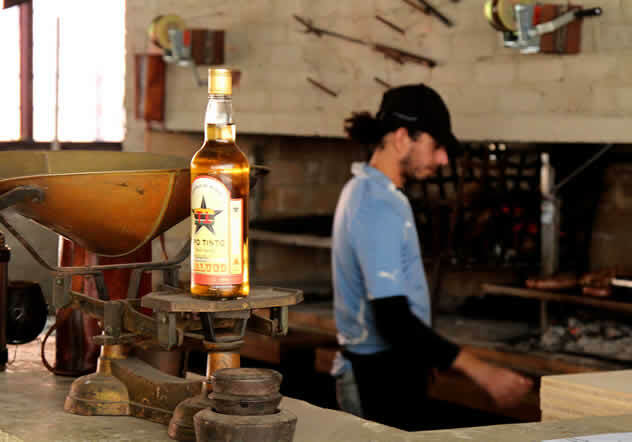 The food takes time to prepare as it is grilled to order, so sit back and enjoy your empañadas and cocktails. The waiter will be around to check that all is in order and when the owners get a chance they too will pop out from behind the grill to welcome you. 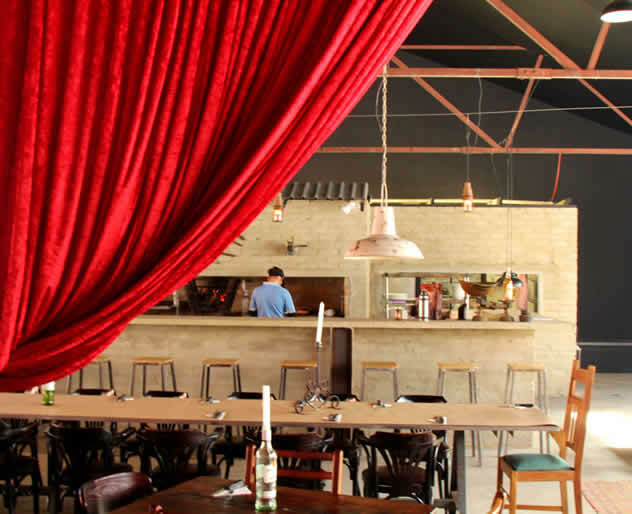 The restaurant occupies a large converted warehouse space decorated with Argentinian artefacts, a large red velvet curtain, industrial light fixtures and tables simply covered in brown paper. Best described as loft chic. Make sure you book early to get into this already popular spot. Don’t forget to take home a bottle of their delicious chimichurri, which is ideal for your next braai, or shall we say, asado! 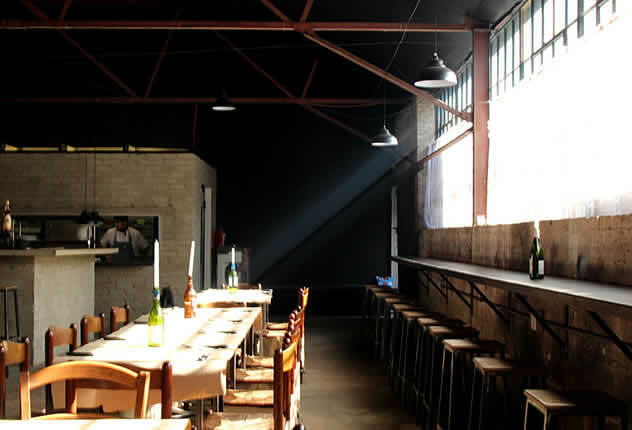 Have you been to Che Argentine Grill in Maboneng? 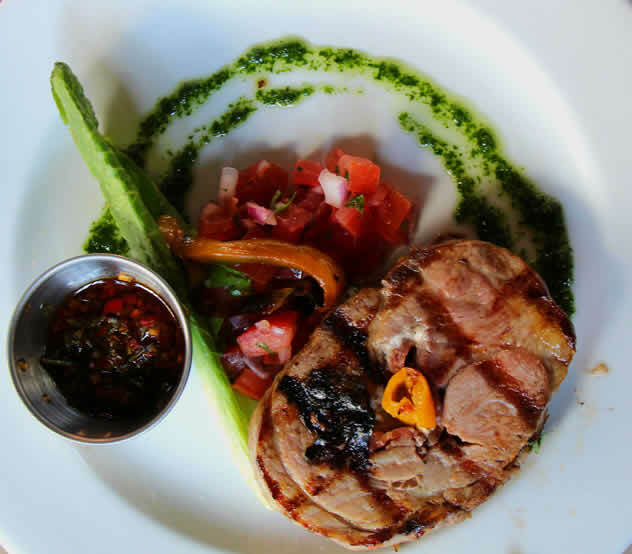 Let us know what you thought of their steak and chimichurri by writing a quick review. Visited the place on Sunday 28/ 06, I went for steak & fried egg, sunny side up, it was excelent and true to the Argentine flavour: grilled to perfection rare to medium, no sweet sauce, just salt and chimichurri on the side. Empanadas made for a tasty appetizer and to top everything off as we were 6, we ordered all the desserts on the menu. It was excess indeed but tasty, fun and the Malbec selection both from Argentine and South Africa extremely commendable. I guess I will be visiting the place often! We spent Sunday afternoon at this rustic innercity haven. After many weeks of loving this “messi” food at JHB’s food markets, getting the full deal at their new restaurant was definitely a treat. Pork belly was perfectly cooked with the right amount of lemon, rib-eye was simple and flavourful, and the boneless chicken with a hint of the peri-spice was intense. We ordered way more than we could eat … can’t wait to get home today to eat the leftovers!!! Please Please Please open a branch in Cape Town ! ! ! There are many of us here who are desperate for a good Argentinian restaurant ! Best argentinian restaurant i have ever tried.The food is simply amazing! Love this place. Going to rock during summer. Anyone know contact number to book? I have never eaten beef so good and so well grilled as the one in Che Argentine Grill. If you enjoy meat that’s the place to go to have the best. Congratulations to the chefs and wish you the best in your new adventure.